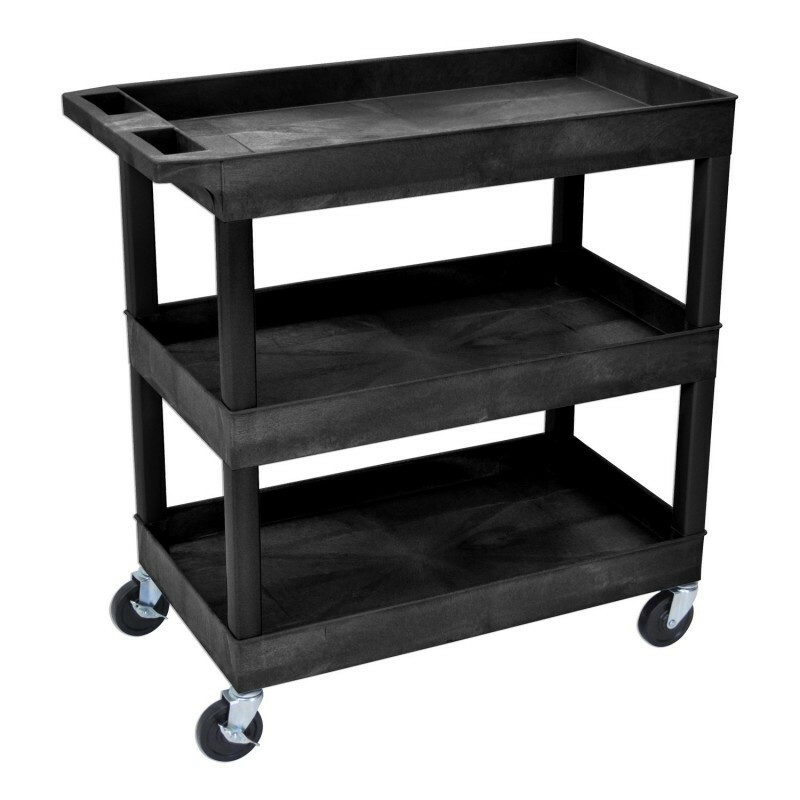 The Offex Heavy Duty Utility Cart is perfect for building projects, auto repair, or organizing tools and supplies in your garage or shop! With a 400 lbs weight capacity, load the 3 sturdy tub shelves with confidence. High-density polyethylene construction means cart won't rust, chip, scratch or stain! Easily maneuverable on 5" casters. Proudly made in the USA. 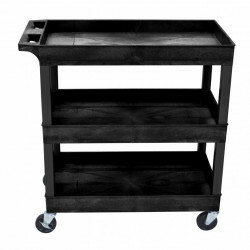 This three-shelf utility cart is great for stocking and hauling heavy items. The spacious tub shelves are 2.5"-deep to securely contain an assortment of items and at only 18" wide, the cart leaves plenty of room for other traffic in narrow aisles. 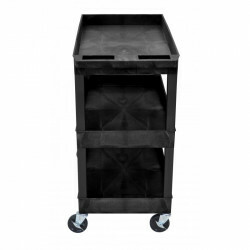 Made from high-density polyethylene plastic, the cart won't dent, rust, scratch or stain and can hold up to 400 lbs. An ergonomic handle and 4" full-swivel casters, two with locking brakes, make it easy to maneuver heavy loads and stabilize the cart when needed.